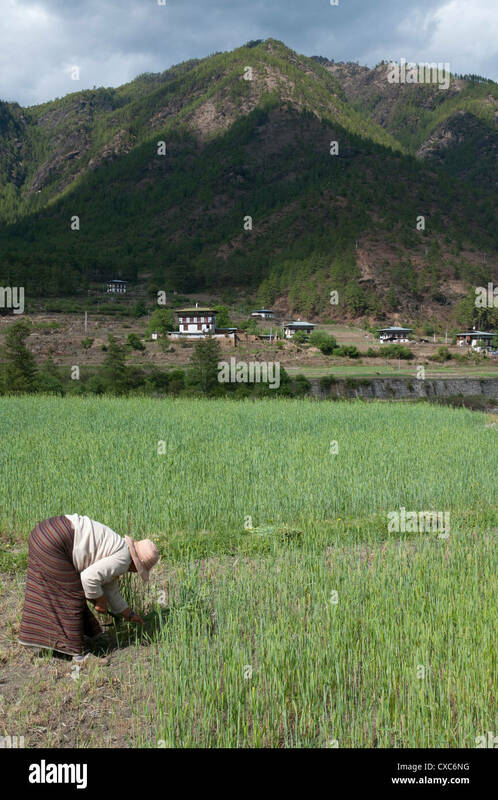 Bhutan is largely an agrarian society with the majority of people depending on agricultural farming for livelihood. Keeping this in view, we can safely say how our farmers play an important part in deciding the future of our economy. They are the key segment of our population. Without them, the country’s economy cannot prosper. We constantly talk about food security and economic independence, but we often fail to recognize how much our farmers in the villages toil in their fields every day to help us realize these national goals. I feel they would be the only consolation for the nation in times of global crises or famine. If they do not do their job well, I think more than half the population of this country would go hungry. Those of us who live in the towns and cities may earn money from employment or business, but in times of economic crises, we cannot eat the money raw. Only during such times we would realize how our farmers can become our real saviors. The point I am trying to drive home is that what they do in their fields throughout the year is directly proportional to the economic prosperity of the country. Hence, every farmer in the village who toils in the sun and the rain round the clock deserves to be treated with equal dignity and respect like anybody else, if not more. Some of our children who go to school often say that they want to become educated farmers when they grow up, but without staying in the village full-time, I don’t think one can easily become an educated farmer with just the academic knowledge of geography, history, English and other subjects taught in the school. The present school curriculum does not prepare us to become farmers. Despite some basic tips on gardening and farming, it does not even take us close to the practical lessons that can be learned from our parents and grandparents in the village. When it comes to farming, I don’t think anybody else can be more educated than the farmers themselves. Although they have not gone to formal school, they have all the knowledge and skills passed down through generations that qualify them to be the real farmers. The formal education system might broaden one’s capacity to understand how to mechanize farming but in Bhutan where traditional farming is still a common practice, it does not make much difference to the lives of farmers. Our farmers are expert in their own ways. They don’t even have to consult anybody to determine what crops to cultivate during a particular season. With the wisdom and knowledge they have inherited from their forefathers, they know exactly when to cultivate what and how. We may have degree and PHD certificates in hand, but we may not even know how to cultivate potatoes or harvest paddies. I had met my cousin sister’s father-in-law, a 60-year-old farmer from Dagana the other day and we had a great conversation about the village and urban life. I found him very intelligent, analytical and humorous. With four grown-up sons, he said he is fully satisfied with his life in the village. He said he is proud to be a farmer and I was amazed to know that he still has a strong sense of social responsibility and community ownership. “If we the farmers do not work hard in the village, who would feed those who are living in the urban centers? After all, the money cannot be eaten raw”, he said laughing. His words rang out a strong message. He believes that if everybody cultivates his or her farmlands, Bhutan would be a rich country. However, the sad thing is that most of the younger generations are migrating to urban centers in quest for better livelihood and as a result, most of the farmlands in the villages are being left barren. “When everybody rushes to the towns and cities, who would cultivate their lands in the village?” he made me ponder. He said this has led to the imbalance between the number of consumers and the number of producers. “How can we expect the prices for the local products to fall when the supply is less than the demand?” he said thoughtfully. He believes that this gap between the demand and the supply can be significantly bridged if everybody makes proper use of his or her lands. This would eventually help in lowering the price of local products in the market and help us achieve food self-sufficiency easily. Farmers definitely share a bigger chunk of responsibilities in helping the government fight poverty and achieve food self-sufficiency in the country. Hence, it is high time that we recognize their role and acknowledge the contributions they make to the nation as a whole every day. The government should now focus more on how to make our villages vibrant enough to encourage our youth to stay back and become farmers. If we continue to let our youth migrate to the towns and cities, all the villages will soon become empty and with no farmers in the fields, the real food crisis can strike us. At this juncture of time when unemployment problem is at its peak, I feel returning to the village and becoming farmers would be a good option. If one can work hard, even farming can be as profitable as doing a business. Although you may have to toil in the fields all day and night, you don’t have to worry about your meals at the end of the day. As my cousin sister’s father-in-law said, farmers are perhaps the happiest people in the society because they don’t have to worry much about any possible crises. “Even if the border gates close down today, we always have enough food to eat for several days” he said smiling. “But for those living in the towns and cities, it could become a real nightmare.” So one should feel proud to be a farmer. Moreover, the government provides all necessary support to farmers such as the distribution of hybrid seeds, fertilizers and cattle either free of cost or at subsidized rates. Therefore, I think those who have farmlands in the village should take advantage of such facilities and become farmers. You don’t have to be a doctor or an engineer to serve your country. Even a simple farmer can significantly contribute to the nation’s economy in his or her own small ways.